Hoosier Energy Power Plant Welded Ground Storage Tank Sullivan, IN. 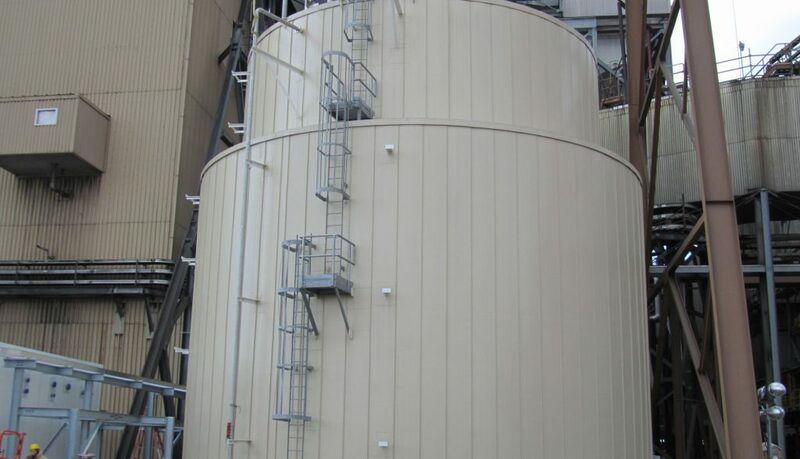 Hoosier Energy Power Plant | Welded Ground Storage Tank | RIDGLOK® Vertical Standing Seam Panel Insulation System installed on a welded Reagent ground storage tank, at the Hoosier Energy power plant located in Sullivan, IN. 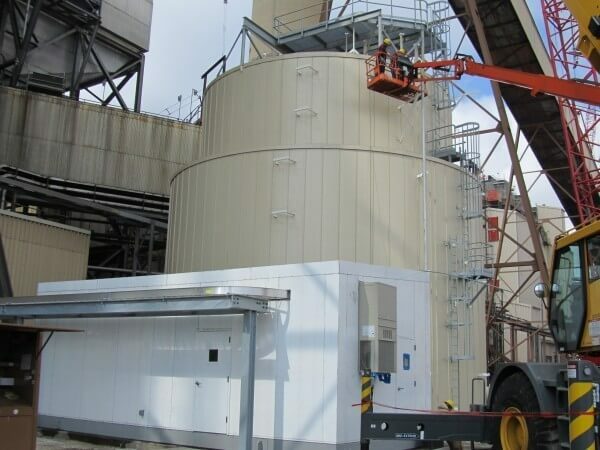 The ground storage water tank consisted of a lower tank and an upper tank. The lower tank was 46’ diameter x 32’ high and the upper tank was 38.5’ diameter x 14’ high welded tank with a dome roof. 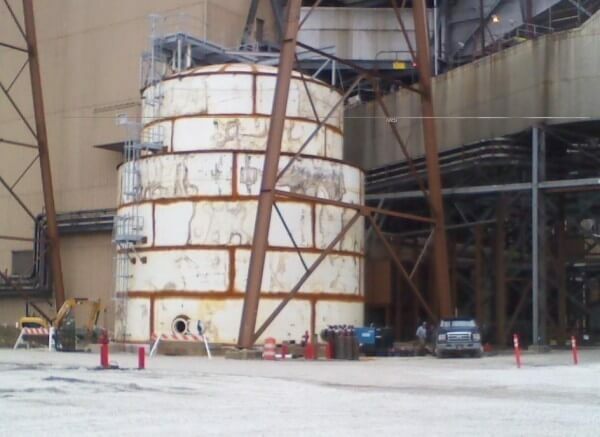 The storage tank insulation project was completed in February, 2012. 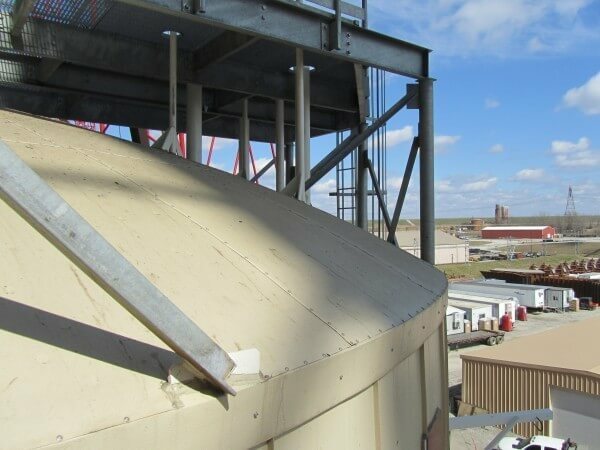 The RIDGLOK® Vertical Standing Seam Panel Insulation System consisted of 0.024 stucco-embossed aluminum metal jacketing in a Fawn color, laminated to 2”of polyisocyanurate insulation board (R-value of 13), using a gore roof pan system.